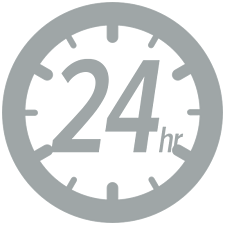 We've mastered the Final Mile to deliver your freight within 24 hours of its arrival at our warehouses. You'll get full visibility into your product's timeline and trajectory until it reaches its destination. We have specialized our delivery services for manufacturers, retailers, and third-party logistics in multiple industries including, publishing, hospitality, and appliances. Each share the common desire for accountable and reliable delivery partnership. If a product needs to be sent back to the warehouse, we'll store and manage those goods until they can be shipped again to your customers, saving you time, money and important resources. If a customer needs to return their product due to damages incurred during any stage of the supply chain, we'll handle the after-market management. We break down the product and distribute it to the correct location where it will then be properly disposed of. Some delivery service providers are so specialized that they are unable to process requests that fall outside strict delivery criteria that they set to serve their business. Our services are designed to meet your specific needs and to flexibly deliver your products with sophisticated service and skill. Learn more about how we make the difference in delivery processes. Subscribe to get more information on how GO Logistics is the right solution for your freight needs. Copyright GO Logistics Inc. 2019.